Nelson attended Cooper Union in New York City where she would meet her future husband, Andy Nelson. 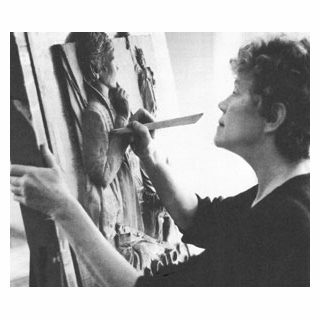 She began her career as a textile designer but later became an accomplished sculptor. Among the distinguished artists that Nelson studied with are Isabelle Bishop, Morris Kantor, Byron Thomas, Kunyashi and Ulrich. Her work is on exhibit at the Ankrum Gallery, Los Angeles, California.